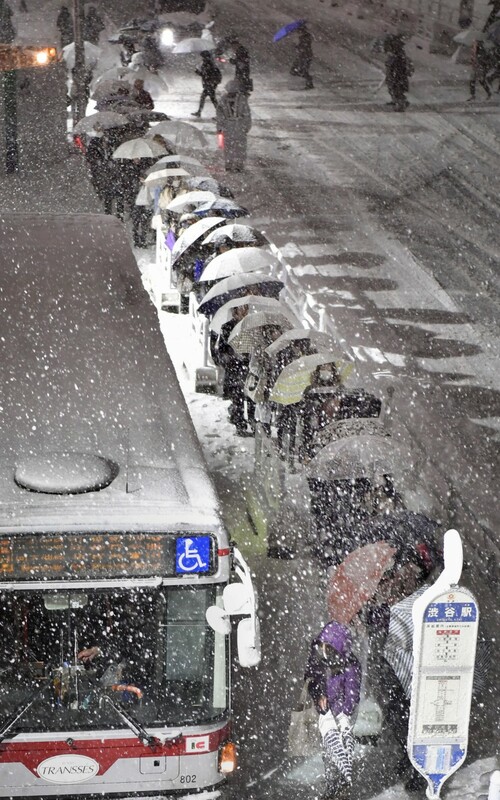 Tokyo woke up on Jan. 23 to over 20 centimeters of snow that had accumulated from the previous day, with the heaviest snowfall in four years disrupting business and traffic, and leaving about 360 people injured across the Japanese capital. 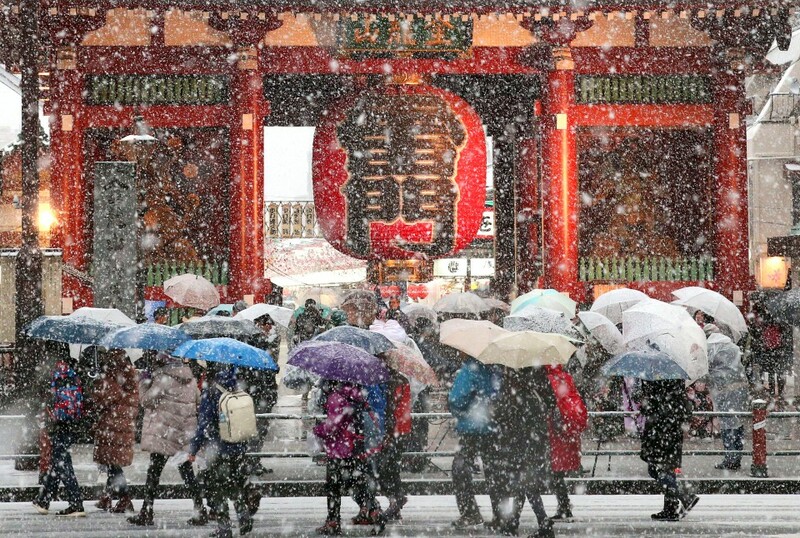 Snow began falling on Jan. 22 and triggered a heavy snow warning for Tokyo for the first time since February 2014. Tourists walk past the entrance gate at Tokyo's Sensoji Temple. 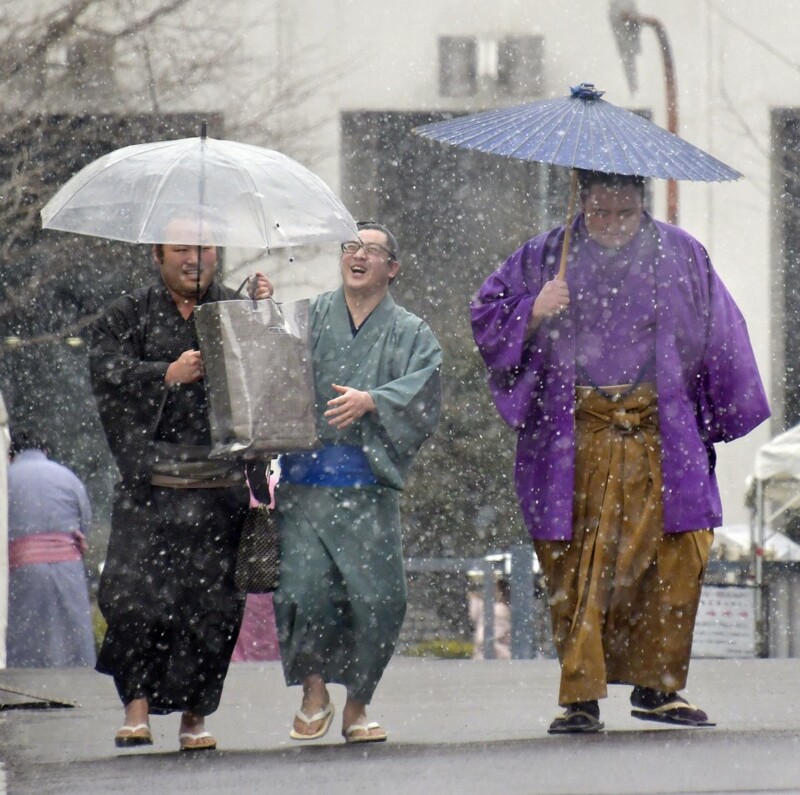 Meanwhile outside the Ryogoku Kokugikan gymnasium, sumo wrestlers in kimono head for the ninth day of the New Year Grand Tournament. Many companies allowed employees to leave work early on Jan. 22 amid reduced bus and train services, and some expressway sections in and around the capital were closed. A long queue forms at a bus stop outside JR Shibuya Station as people rush to head home. 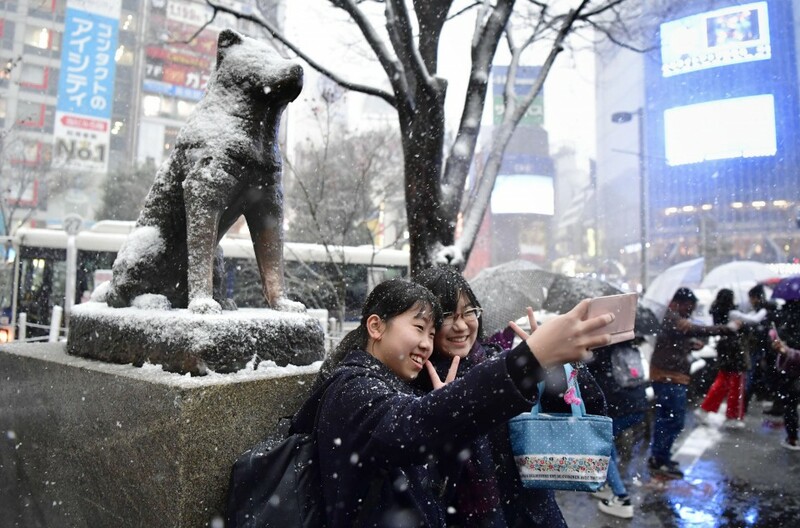 Despite the chaos and long waits, some managed to enjoy the rare snow in Tokyo, such as these junior high school students taking a selfie with the snow-covered statue of faithful dog Hachiko near JR Shibuya Station. 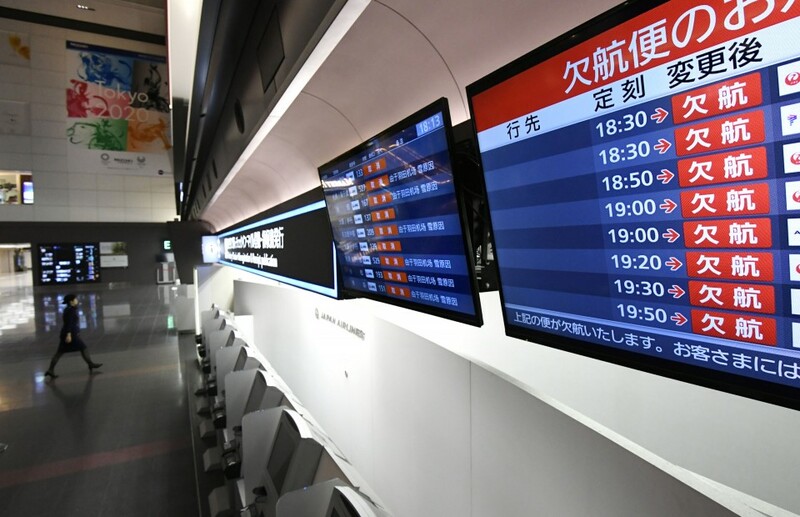 Hundreds of domestic and international flights, particularly those departing from and bound for Haneda airport in Tokyo, were canceled. 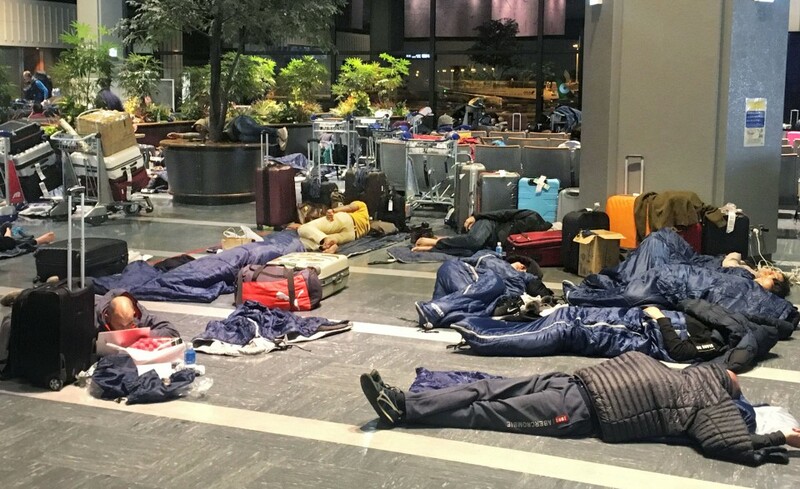 More than 9,000 people spent the night at Narita airport near Tokyo and 2,800 did so at Haneda as some runways were forced to shut. 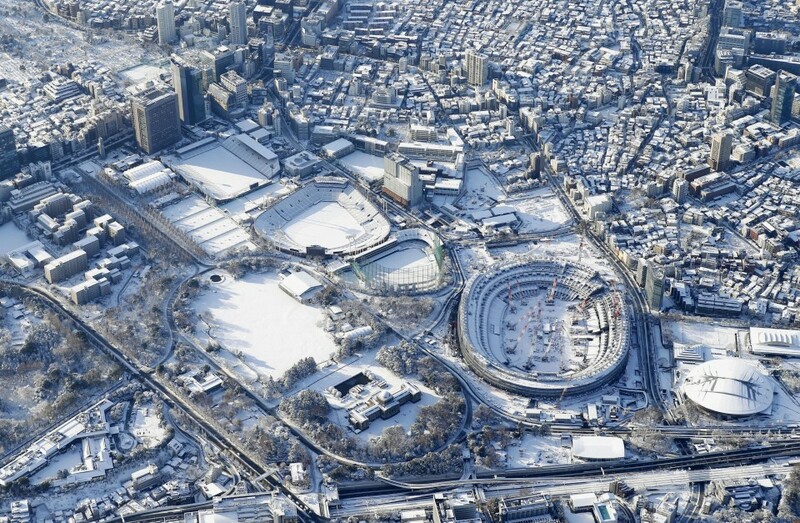 By the morning of Jan. 23, Tokyo was blanketed in white. 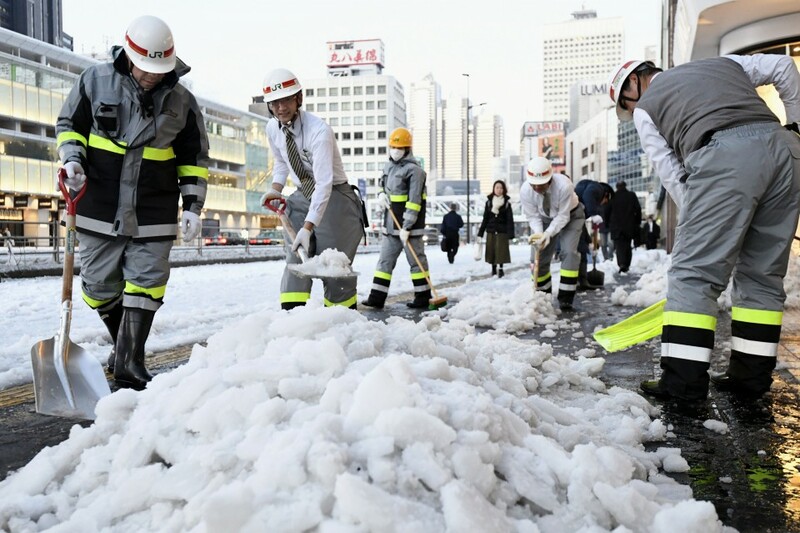 JR officials clear snow outside Shinjuku Station as morning commuters trek to work through icy, slippery roads. 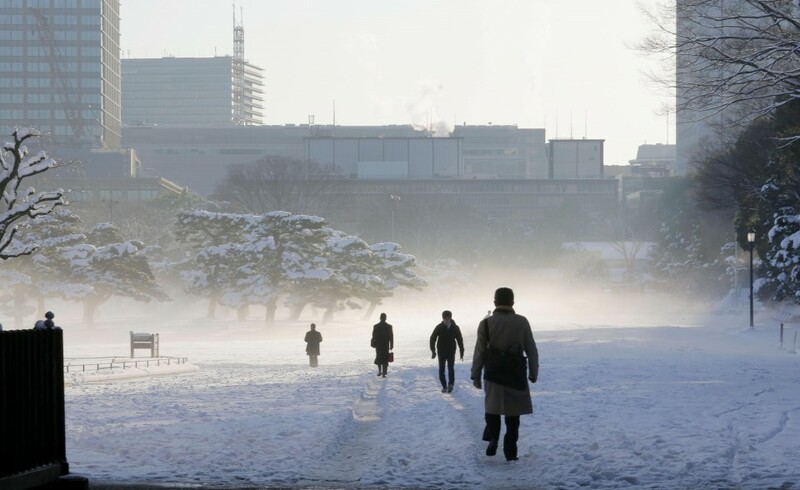 With cold air expected to flow over the Japanese archipelago from Jan. 23, a strong winter pressure pattern will continue until around Jan. 27, bringing heavy snow and strong winds this time to the Sea of Japan coast from Hokkaido to Hokuriku regions, according to the national weather agency.